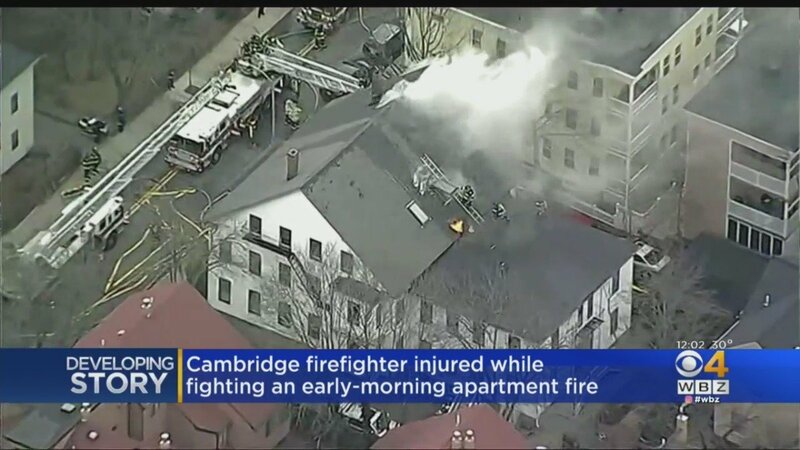 A firefighter was injured Monday morning while battling a 3-alarm structure blaze in Cambridge, Massachusetts. The fire was reported around 8 a.m. at a home on 513 Putnam Ave., Cambridge Fire Department said. NBC10 Boston’s Sky Ranger helicopter was over the scene, where smoke could be seen coming from a wooden 2-story home. At least four fire trucks responded to the blaze and nearby streets were shut down as crews battled the inferno. The hurt firefighter’s current condition is unclear. Cambridge Fire said the blaze was knocked down at approximately 9 a.m. It is unclear how many residents lived in the building or if the structure was abandoned. Authorities are investigating what caused the blaze.